Here is a casserole that reminds me of my “Baby Boomer” childhood. The popular 1950’s and early 60’s casserole! The very one that Auntie May used to bring over during the holidays or bring to the neighbours house when they were in need. Although, I have left out the canned Mushroom soup and the saltine cracker crust, that was a staple of that era. 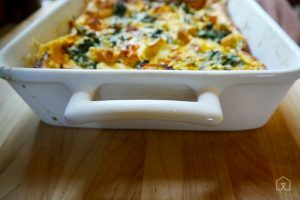 This recipe is a great winter comfort food with out all the bad ingredients. Cleaning up your diet with delicious food is a wonderful first step to changing your diet and improving your health. You will need a blender and a deep baking dish with a lid for this recipe. This recipe will take 30 min in prep and 30 min in the oven or till tender. 5 or 6 fresh mushrooms of choice (look for shitake or maitake mushrooms to add medicinal qualities to the dish) chopped into small bite size pieces. In a dry blender put in the Mary’s crackers and pulse the blender till all the crackers are broken into a crumble texture. Then put aside in a bowl. In your blender. Put the cashews, water, miso, nutritional yeast and cider vinegar. Let sit till you fill the baking dish with the cut up vegetables and sautéed onion and mushrooms. Cut up all the vegetables and mushrooms. In a casserole or oven dish place all the vegetables except the onion and mushrooms. In a fry pan sauté the onion and mushrooms. Then toss into the baking dish and mix with the cut up vegetables. Put the covered baking dish in the oven and bake for 10 min. Then go back to your blender and blend the ingredients together and taste. When blending start slow and build to the highest speed. Taste the mixture, if to salty add small amount of vinegar and if to vinegar taste add a small amount of salt to balance flavour. Take the baking dish out of the oven. Pour the sauce over the vegetables and mix together. Place back into the oven and cover for another 20 min. Then take the dish out of the oven again. Sprinkle the ground crumble over the top and leave the lid off the dish. Put back in the oven for another 5 to 10 min. Have a fun with this comfort food. If your a baby boomer you might want to put on the TV and eat on TV trays watching TV like you would have as a child.